Apparently, nobody got my hilarious joke yesterday. NO BABIES. Only the ones our friends let us hold so they can take a break. Bueno? Also, the comments are not disabled on purpose, The WordPress transition is kind of effing stuff up. Should be done by the end of the week though!I stole this idea from here. Our friends got married in Mexico. I wanted to get our friends a gift since we weren’t going to Mexico. 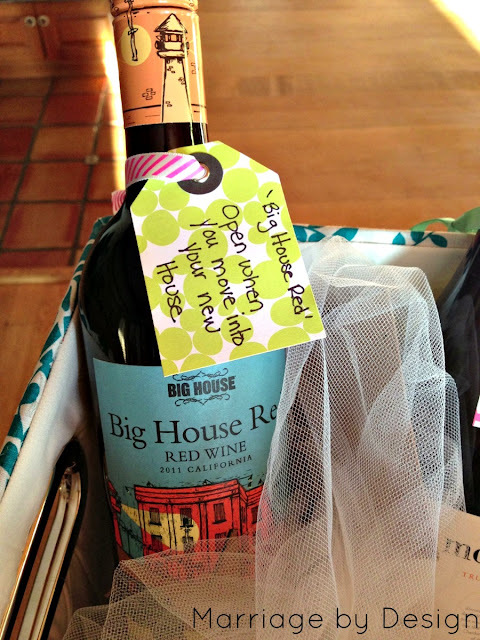 Booze is a great gift. But you want to package it like it’s a present. 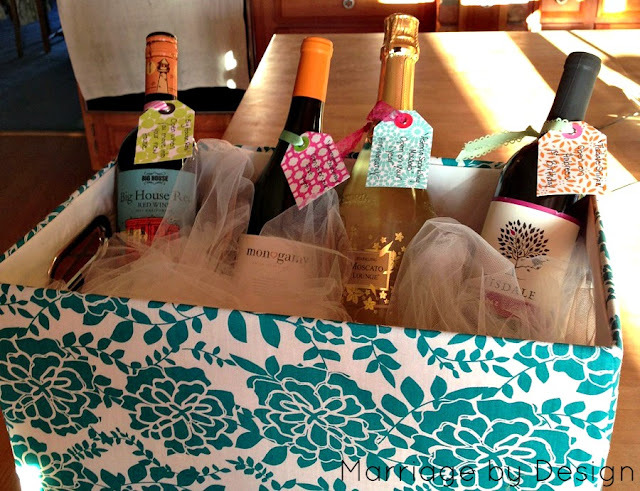 Bringing a handle to a shower or a rehearsal dinner is generally frowned upon. 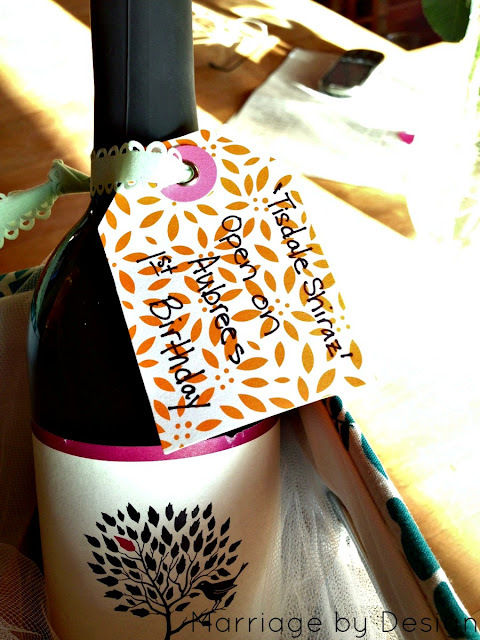 The original project has little poems to put on the bottles. 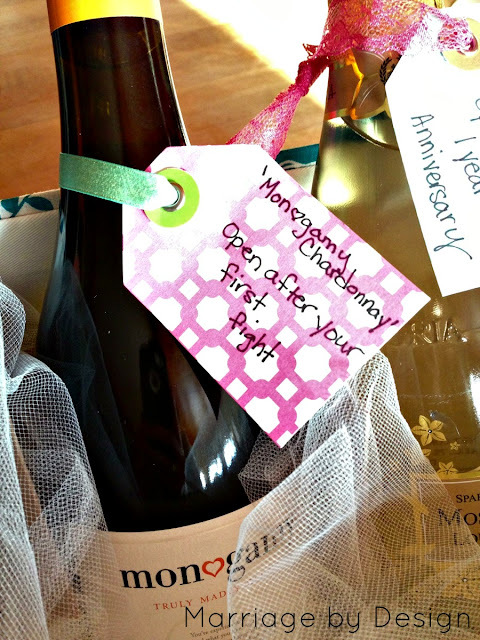 I got ‘Monogamy’ Chardonnay to open after their first fight as a married couple. 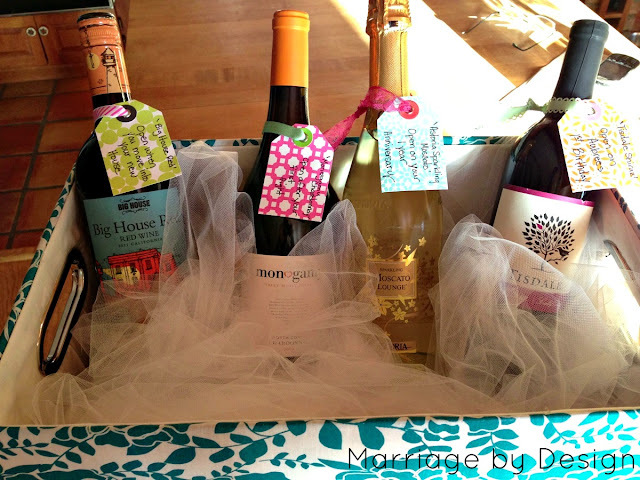 I was shocked I was able to find such cute wine to go with each event. ‘Astoria’ Sparkling wine was chosen for the bottle as well. 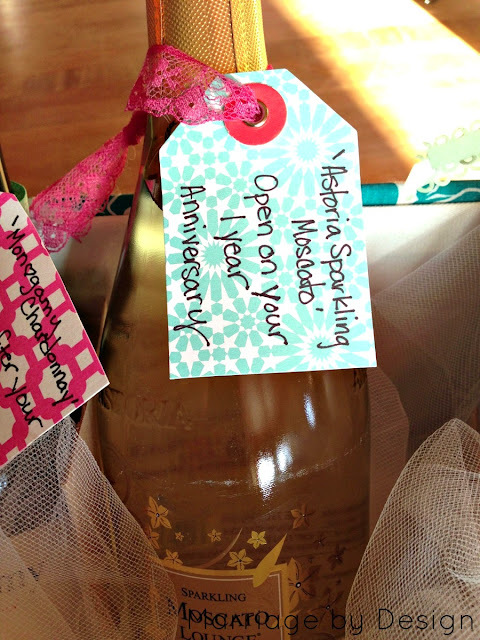 I wanted a cute bottle of champagne for their first anniversary. I found the basket and the tulle at Joann’s. The tags and ribbon on the bottles are from Target. I tried to keep kind of a tropical/Mexico feel with the colors.